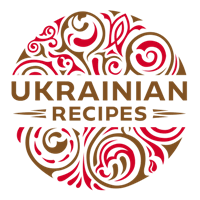 Grate eggs with salt. Combine them with milk and flour. Knead the dough. Heat dairy butter and fry pancakes on both sides. Wash mushrooms thoroughly. Pour them with boiling water and cook in salty water for 30 minutes. Put mushrooms on the colander and wait until water flows down. Cut them finely and combine with fried onion. Add dried breadcrumbs, salt, and black ground pepper. Mix everything properly. 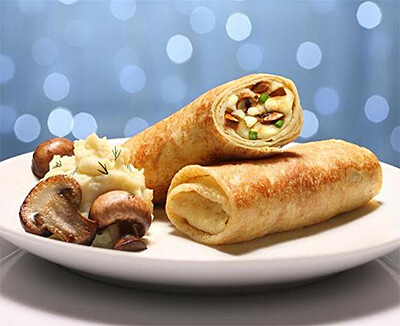 Stuff pancakes with mushrooms and roll them. Whip 2 eggs. Dip each pancake in the egg and fry slightly on the dairy butter.